A garage business that was left partially under water during the Christmas floods is now back in operation from new premises. ML Autos in Huddersfield, West Yorkshire, lost five vehicles including a recovery truck and courtesy car during the flooding, which reached a level of three and half feet in the garage on Boxing Day. But owner Matthew Littlewood has been able to set up shop at a new location, because he was properly covered by insurance. It’s easy to overlook the importance of insurance until your business needs it, and then it can often be too late. Make sure you have decent levels of motor trade insurance that also protect the fabric of your building against eventualities such as fire, theft and flooding. In addition, you need good coverage for tools, stock and customers’ vehicles that may be left on site overnight. Mr Littlewood has now moved his firm to nearby Bradley. As well as the vehicles written off in the festive flooding, he also lost parts, equipment and one of the two ramps used in the workshop. He chose to move to a new site where there is less risk of flooding, and was able to do so because he had been properly insured at the flooded site. 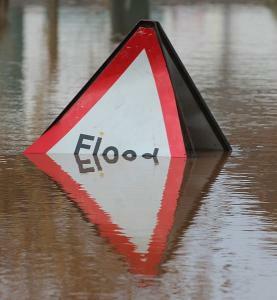 Flooding caused major issues for businesses across a variety of sectors at the turn of the year. The worst affected areas were in northern and west England.